TOP 15 LEGITIMATE WAYS TO MAKE MONEY ONLINE IN 2018 - 8Figurez - Be Your Own Boss! Online streams of revenue are best for students, stay at home mums and retired workers. Anyone who intends to stop living paycheck to paycheck can actually look for somethings than can be of a great value to them in the virtual world. If the thought of making some extra income or adding money to your existing bank account while working from home has ever crossed your mind, then this post will guide you. Don't let the stories of Scams pull you back. So many online recruiters allow you to choose the number of hours you want to work with them. You can work up to 45hours a week depending on how strong you see yourself. Looking around, there are so many online opportunities out there. Set your goals. Either you plan to promote or create your own business, work full time/per time for a company, or maybe share your dreams and passion. There is surely something for everyone who is willing to put some time in researching job. These are my top 15legit ways to make money online. Did you remember that Facebook bought "fb.com" for $8.4million dollars? "Vacationrentals.com" was sold for 36million dollars too. Looking at these numbers, you can see that Buy and selling of domain is quite a huge way to earn extra income from home. It doesn't require expert guide or training. Goddady sell a domain for just $1.7/year. Blogging is another legit way you can make huge income from home. With blogging, you earn money when you promote a companies product on your blog. You can also become a huge figure while blogging(like tutor people on how to blog, design peoples blog, build blogs for beginners or even become a public speaker when recognized). You can also make huge income through AdSense program(Google alone announced that they have payed over $10billion to its publishers back in 2015). you can check this article on how to make money with your blog. Its fairly easy to self-publish this days and sell an e-book. Writing an e-book on your best topic or on how to solve peoples problem can be quite interesting. You can visit Createspace or Lulu to find out more on this particular offer. Affiliate marketing is among the top ways people generate huge income today. You can start promoting product from amazon on your website or blog and earn a percentage whenever someone purchase a product through your link. Merchants like clickbank now pays you a whopping 75% of any product sale. A website tester is someone who gives their view or opinion about a random website. Some companies out there may require you to install software, which will enable all of your activities to be recorded. You might be asked to say your thought about the design of the site, ease of use and quality. UseTest they pay you around $11 for a single task completed. Its completely free to join and this one dosent take up to 10mins to be an approved worker. start up lift you are paid $5 per test via paypal. TryMyUi this one takes up to 20 minutes to complete a task. pays $10 per test. If you think you have a great skill in a particular field then this one is for you. You can design websites, templates or even book covers and sell them online. This is quite an interesting package if you take a look at it. If you purchase a certain product, you get a cashback of 5-10% of any product you bought. There are numbers of cashback sites out there that are ready to sacrifice a huge percentage of there profit just to retain you as a customer. Many internet users out there doesn't know that they can generate a reasonable amount of money when using search engines. Swagbucks, Qmee, Bing and even Google pay its search engine users. 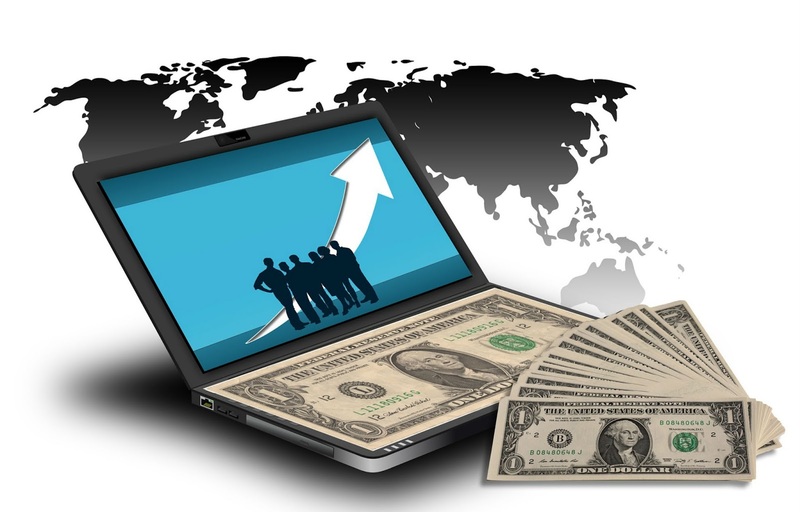 Online market trading is basically the act of buying and selling financial products through an online trading platform. This platforms are normally provided by internet based brokers and are available to every single persons whose intention is to make money online. example of online brokers is iFOREX, they provide a variety of financial products including shares, commodities, forex and indices. with Facebook boasting of over 2billion members, Instagram 800million and Twitter 300miliion, i suggest you should start thinking of a way to make money from them. there are some companies out there that pays you some bucks when you promote them on your social media pages. Amazon is a huge figure in the internet market today(arguably the no.1 online selling site in the world). Amazon needs people who can be the eyes on there page, write product description, choose photographs or identifying performers on music CDs. Check out Amazon Mechanical Turk for another way to make money online with them. Do you speak several languages? if yes, then you can start generating income with that. Speaking multiple languages is a unique skill. You can be hired to translate documents to some customers. you can check on lionbrige if you are interested in this offer. Cryptocurrency is the last one on my list here among others. You can actually invest on any cryptocurrency and make money when ever the value goes up in the market. If you don't have any knowledge in trading there might be a high percentage of you loosing your money here. It also requires patience, So this one is not for the Armatures. TIPS AND CAUTION- Never pay for the opportunity to become an online freelance employee. As we all know, There are so many scammers out there looking to mislead you and take advantage of any mistake from you. The main goal is for you to generate some income and not to be charged with earnings. I seriously suggest you ask questions so as to know what exactly the employer is expecting from you. Also have in mind that miscommunication can sour any workplace relationship. Knowing before time what you are embarking on, or the job you are agreeing to take will make online work easy and less stressful for both parties. Have a question? leave it in the comment section below.